Keep two DSLR or mirrorless cameras and lenses ready for action with the sling-style Dual Camera Strap from RucPac. The Dual Camera Strap features quick release buckles, large shoulder pads for improved comfort, and metal triangle connectors for attachment to your camera lugs. 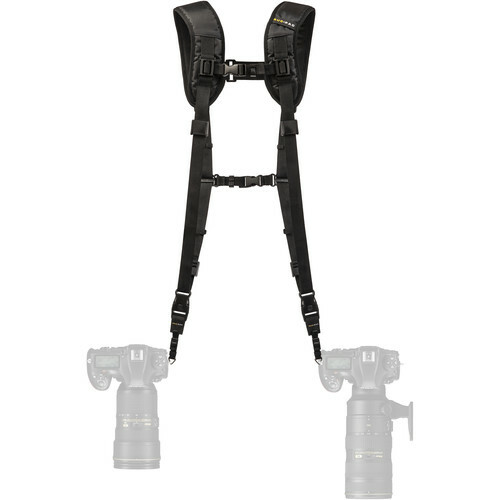 Photographers will appreciate the stability afforded by the front and rear connecting straps. Box Dimensions (LxWxH) 12.0 x 9.0 x 1.0"